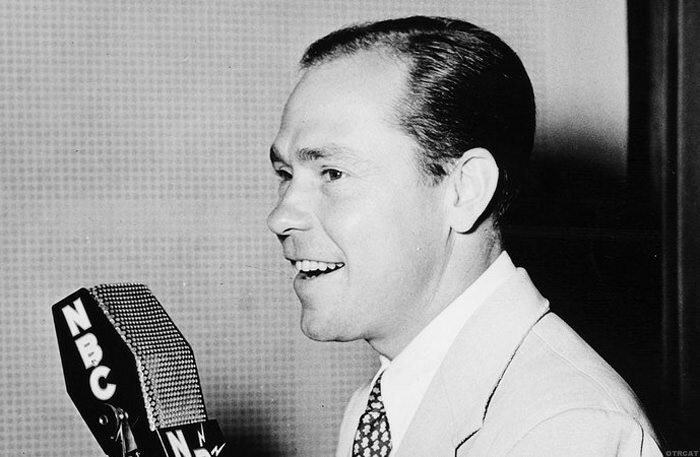 "Swing Session Ep 71 with Johnny Mercer"
Johnny Mercer was a popular singer and song writer in the golden age of radio. I n the 1940s, Mercer was the "it-man" for Hollywood's musical entertainment. Frequent collaborator Hoagy Carmichael called Mercer a "young, bouncy butterball of a man from Georgia." 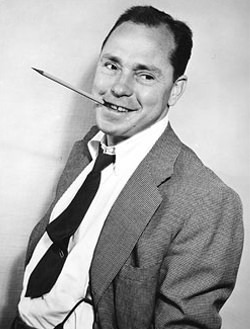 As a child, Johnny Mercer earliest experiences with music include going to vaudeville shows with his mom, mimicking local singers, and singing in the church choir at age six. Growing up in Savannah, Georgia Mercer was also greatly influenced by the African-American music tradition in the south. He had an early love of music and entertainment and headed to New York in search of fame and fortune by the age of 19. After a chance meeting with Johnny Mercer career as a lyrist took off. His first hit was the Depression-era favorite, Lazybones (see Paul Robeson). 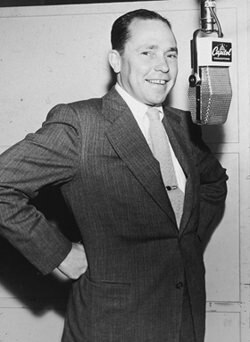 Johnny Mercer moved to Hollywood to write music for the movies and began working with the biggest names in the business Bing Crosby, Benny Goodman, Louis Armstrong, Martha Tilton, Count Basie, Judy Garland, Marilyn Maxwell, George Shearing, and many more. His career hit it's height in the 1940s as he wrote some of the top songs in Hollywood. Mercer won four Academy Awards for best song. See also: B.A. Rolfe and His Orchestra. Be the first to comment on "Johnny Mercer"